All SpotGo chemicals in SpotGo premium household cleaning products are free of toxic chemicals. All SpotGo products are free of alkyl phenol ethoxylate surfactants common in low quality old technology cleaning products. Alkyl phenol ethoxylates are persistent environmental polluters causing hormone dysfunction in mammals and fish and whilst still available in Australia have been banned for use in the more progressive European nations. 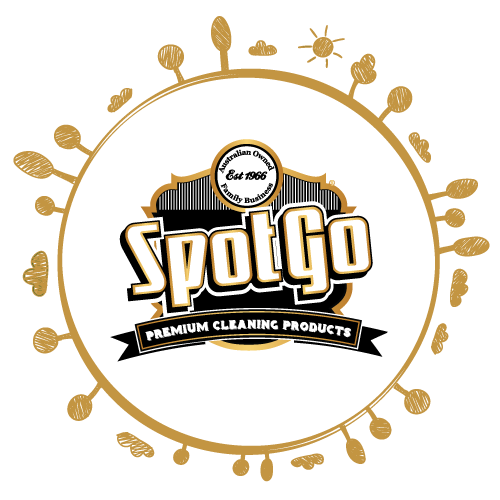 SpotGo believes that Australia can lead the way in quality, environmental and safety responsibility for household cleaning products and so provide our clients the best that’s available worldwide. SpotGo formulations contain the highest quality non-polluting surfactants available in line with the company’s high quality environmental and safety policy. The surfactants have low toxicity and also readily biodegradable in both soils and aquatic environments. SpotGo has not only employed chemists to work to develop our products but also took the novel approach of employing environmental scientists to work with the chemists to ensure the products have the lowest environmental impact possible. All ingredients in SpotGo chemicals have the lowest impurities available in the Australian market. SpotGo works closely with chemical manufacturers and suppliers to ensure quality is never compromised and every ingredient is analysed and purity assessed before inclusion in a SpotGo chemical. Every aspect of SpotGo chemistry has been optimised for performance and in equal measure environmental responsibility so our clients can be comfortable in using their chemistry for all applications.